Note: A complete flower will comprise of the sepals along with the corolla, which is simply a collective unit of petals. 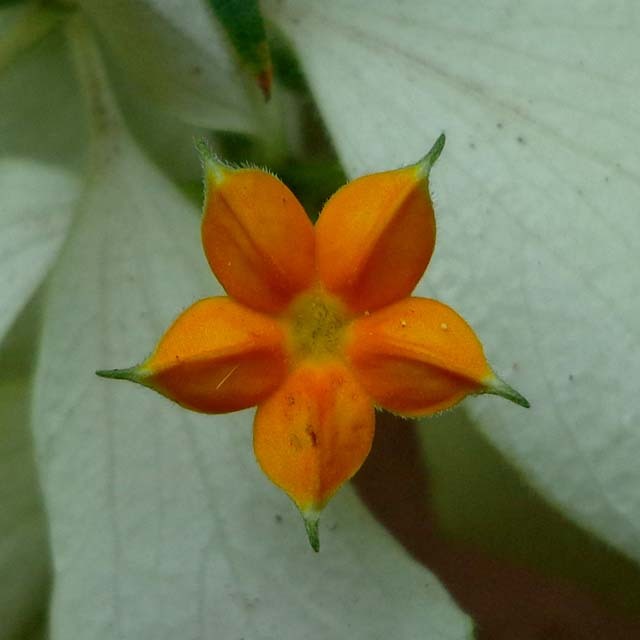 Sepals are small leaf-like units that cover the petals when the flower is still a bud. In the White Mussaenda, however, the sepals are enlarged, white (giving the flower the first part of its name) and hang in masses below the corolla. In the above pic, they can be partly seen in the background.